Avengers: Age of Ultron is opening in theaters on May 1st and your local Meijer store has a wide variety of branded merchandise to get you all set for the premier. (And having recently shopped at Meijer I noticed that you can save on some of those Avenger items with your mperks.) From Avenger Corn Flakes to Fruit Snacks, T-Shirts to Toys and everything else in between, Meijer has all the Thor, Hulk & Iron Man items that you want. And, to help celebrate the release of this film Meijer is sponsoring a giveaway on this blog, with an awesome Avenger Prize Pack full of assorted toys, food and memorabilia. 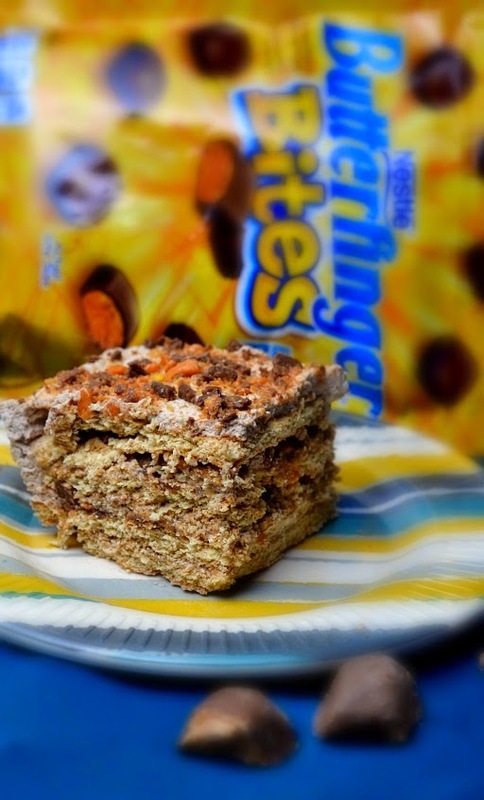 But first every movie viewer needs a great snack to enjoy during the film and I have a fabulous dessert recipe to share with you today for Butterfinger Lasagna. 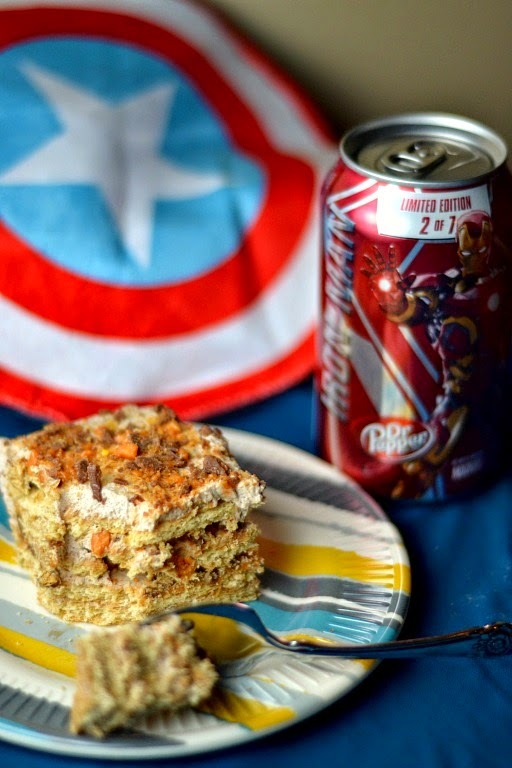 This dessert is super simple to make, taste great and can be washed down with a limited edition Avengers 2 Dr. Pepper. Even Captain America needs something sweet to eat before he saves the world from Ultron. 1. Stir syrup into whip cream container until thoroughly mixed. 2. Lay graham crackers out in a 9 x 13 baking dish to cover the bottom completely. 3. Spread a thin layer of whip cream mixture on top. 4. Sprinkle 1/5 of your crushed up Butterfinger pieces on top. 5. Repeat layers 4 more times, making sure to press down firmly on the gramcrackers each time and spreading the cool whip so all the edges are completely covered. 6. 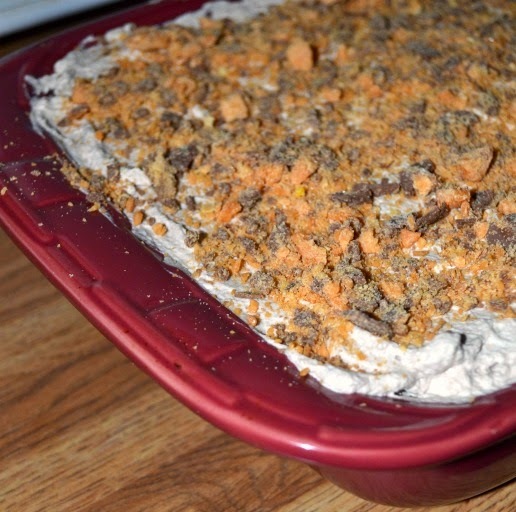 Finish with Butterfinger pieces on top. 7. Refrigerate for at least 2 hours or overnight. 8. Slice and Serves 8. Be sure to head in to Meijer to pick up all your Avenger related merchandise and branded food products before you see the movie on May 1st. And now for our giveaway. 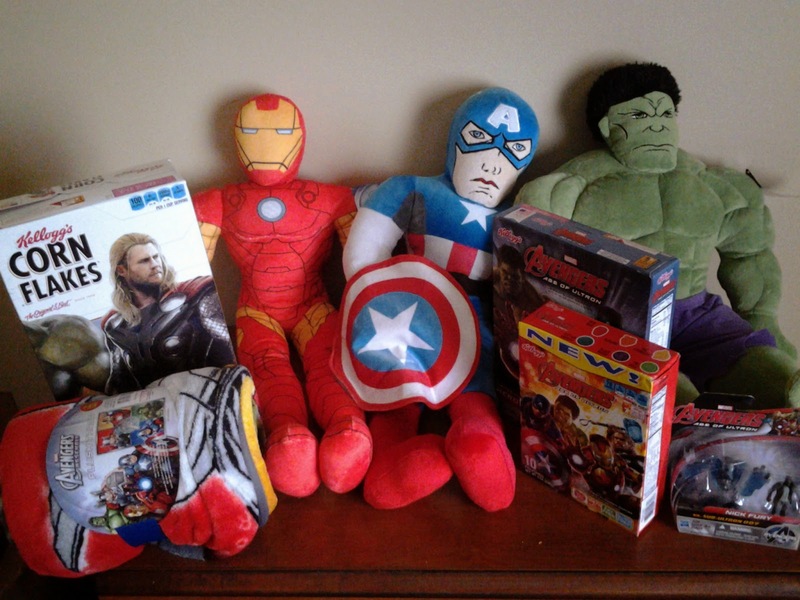 One lucky reader will win an Avenger Prize Pack consisting of: 3 plush figurines, a throw blanket, small toy, fruit snack and 2 boxes of cereal. To enter simply click on the rafflecopter link below the picture. Winner must be a US resident. Winner will be notified via e-mail and have 48 hours to claim their prize. 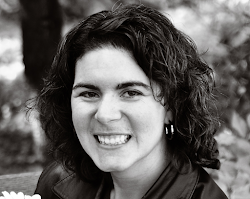 Please note Meijer did sponsor this blog post and giveaway. All thoughts and opinions expressed on this blog are my own. Popcorn is a good one, though I usually eat the Strawberry Australian licorice they sell at AMC Theatres. We love to eat pizza, popcorn and Twizzlers when we watch movies!! Pull n Peel Twizzlers and movie theater popcorn is the best. Pop corn is all I need. I like to eat ice cream! I love to eat popcorn with butter. Thank you for the wonderful giveaway. I like to have chocolate with popcorn.